MV Augusta stock is definitely on the rise. 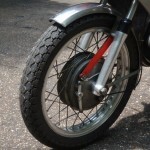 With the resurgence of MVA bikes available new (now priced closer to “normal” – with modern day performance to match), interest in older bikes has grown. Given MV Augusta’s great history on the racetrack, there have always been significant models which are highly sought after by collectors. 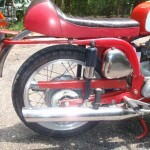 Today, however, we are seeing the smaller bikes make a big push for pricing parity. 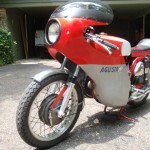 Collectability is going up, as witnessed by this post from Brian on another ’72 MV Augusta 350, or this post on an even older 125. 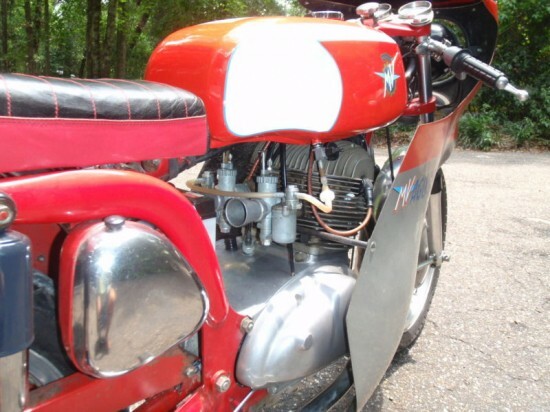 MV Augusta began building bikes in 1954, but the name has been around manufacturing circles much longer than that; Count Giovanni Agusta first started an aviation concern in 1923. 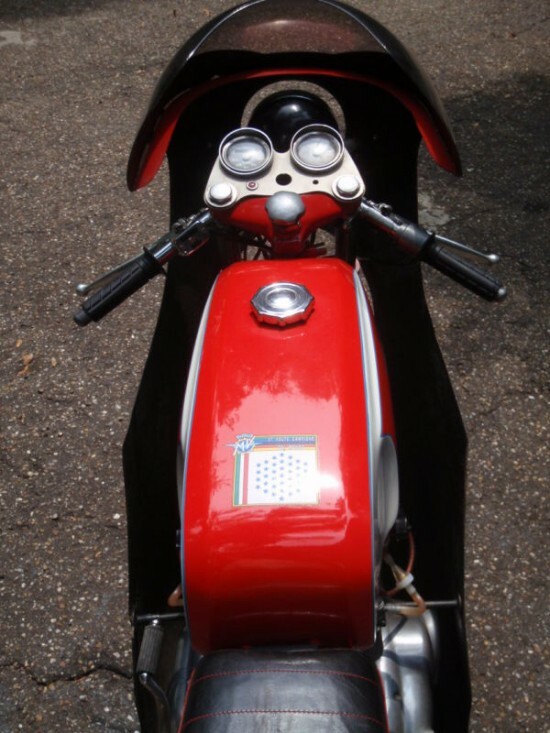 In post-war Italy there was a need for inexpensive, efficient transportation, and the MV Augusta motorcycle division was created for just that purpose. 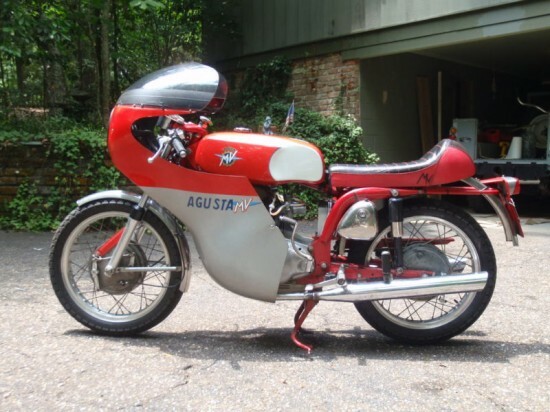 Initially marketing small two strokes for the masses, MV Augusta grew to dominate World GP racing with such names as Giacomo Agostini, Mike Hailwood John Surtees and Phil Read. 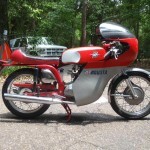 At their peak, MV Agusta collected 17 consecutive 500cc GP titles. 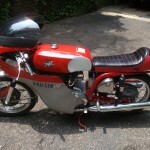 This is a rare opportunity to own a 1972 MV Agusta 350B. 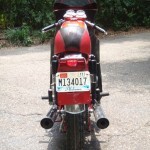 The guy I purchased this bike from, purchased it from the original owner in Italy. It has less than 4,800 km on the clock. It is in original condition and is in great running order. Paint is original, except that the tank was repainted by the previous owner. I have cleaned and greased all bearings, replaced front fork seals, fork and engine oil are fresh. Brake linnings are like new. Everything works. 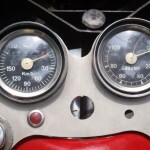 Tachometer has a crack in the lens (see pic). This is an awsome bike to ride. This bike is ready to be ridden or placed into a collectors hands. Currently licensed and registered in Alabama. 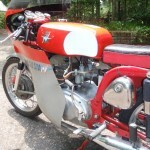 If you have been lusting after one of these svelte red and silver racing machines, this might just be your chance. This particular bike has nice curb appeal (used but not abused, by the looks of the pictures), and is a decent enough size to ride without getting run over by traffic. 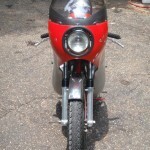 The fairing looks great, and the spoked wheels and drum brakes really nail the authenticity of the era. For more information, more pictures and your chance to bid on this beauty, click on the link and jump over to the auction. There is not much time left on this particular offering, so you might need to act quickly. There has been only light bidding thus far, with the current price sitting at just over $8,000 with reserve still in place. The BIN number is set way up at $15,000, so if the reserve comes off soon this could be a real buy. Good luck, and make sure you tell ’em you saw it on RSBFS!